“Getting involved” with Chomping Climate Change means taking action to reverse climate change through food and forestry. Taking action through food requires eating, of course! And taking action through forestry requires growing more trees. Below are some tips on eating and growing trees. The only pragmatic way in which carbon can be drawn down from our atmospheric at the scale that’s needed is through planting trees – or allowing them to regenerate – on a substantial percentage of the vast amount of land now used for livestock and feed production. Anyone can get involved, e.g. by taking action described by groups such as Friends of Trees and its national partner Alliance for Community Trees, as well as Trees for Life and The Fruit Tree Planting Foundation. 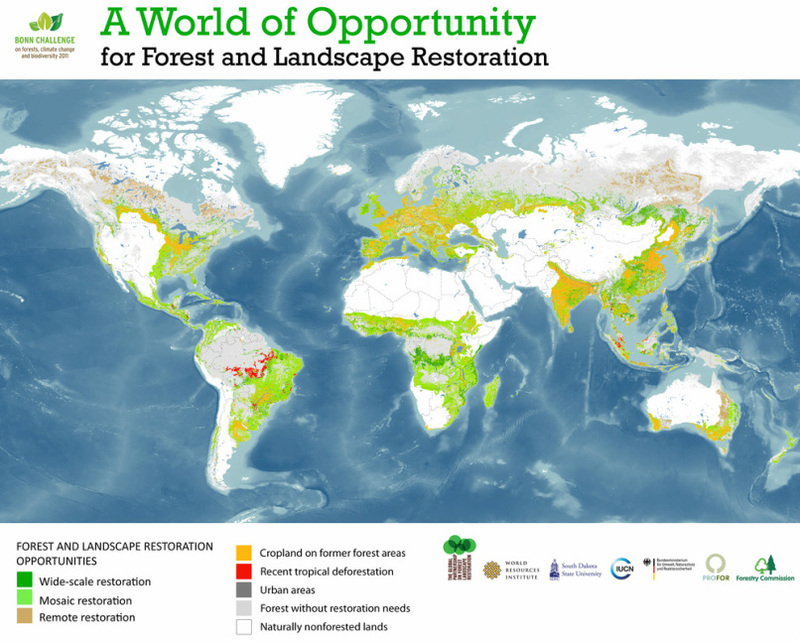 Below is a map showing areas ripe for planting trees and regenerating forest.